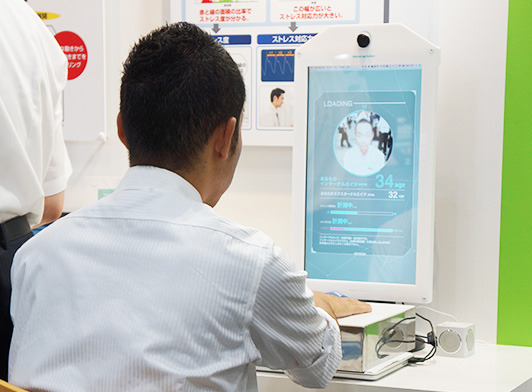 Internal Age System is a sensor that measures the age and stress level of blood vessels showcased by Sharp at the International Modern Hospital Show 2015. KAYAC designed and created a program using Sharp’s blood vessel age sensor. 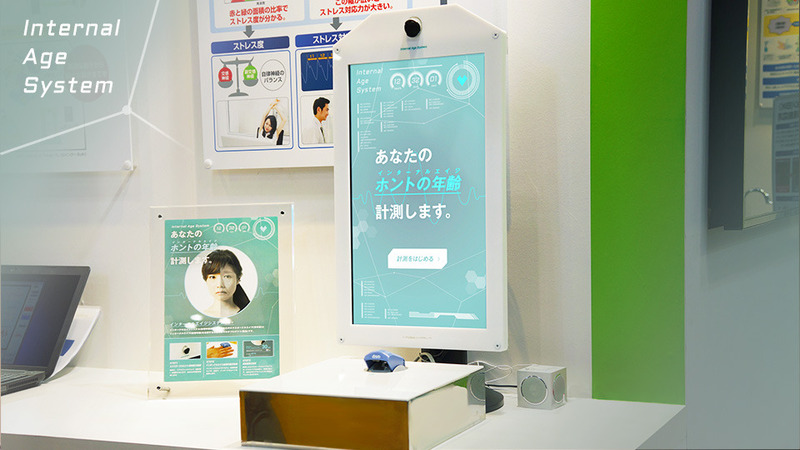 Visitors stand in front of a monitor, put a finger in the blood vessel age sensor, and start diagnosis. Age is obtained from the photo of a face taken by a camera. According to the blood vessel age, the facial photo gets older or younger to show the result of diagnosis. WBS (TV Tokyo) covered it in the “Toretama” section.